With the costs of heating a home steadily on the rise, more and more people are turning to alternative ways to heat their homes. 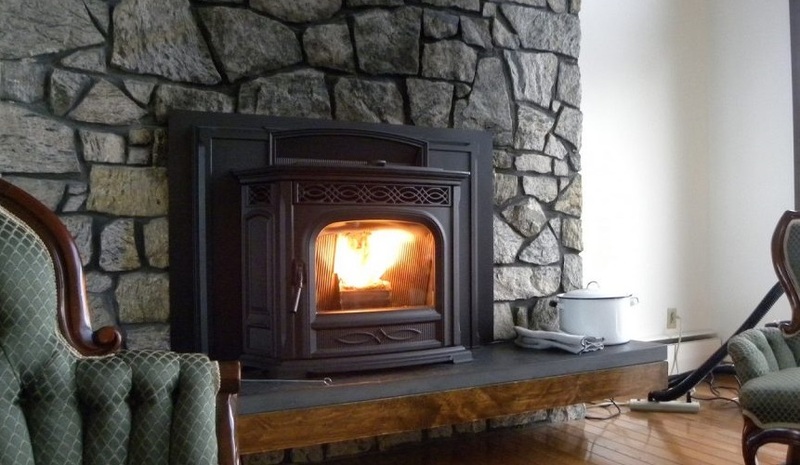 Whether the home is in need of a wood stove, pellet stove, or even installing gas fireplaces, our customers are finding that All Pro Chimney Service is their one-stop shop for service and installation of hearth appliances. Let one of our fireplace installation professionals install the hearth appliance of your dreams. Having a high-efficiency wood burning fireplace installed is a great addition to your home. Not only will you enjoy the beauty of a wood burning fireplace but you will get so much more heat in return. These fireplaces are capable of heating up to 2,000 sq ft. Multiple finishes are available. Is your fireplace taking more heat out of the house than it’s giving back? Upgrade it! Install high efficient wood burning insert. Wood burning inserts are an excellent way to heat your space and in some cases even your home. They’re rated at 70% plus efficient and are capable of heating anywhere from 500 – 3,000 square ft., depending on the model. Multiple finishes are available. Pellet stoves are becoming more and more popular as a secondary heat source and also as an alternative to wood stoves because they are easier to use. Instead of putting in wood every few hours, you just fill up the hopper with pellets and your pellet stove is good to go for up to 50 hours or more on individual pellet stoves. Some are even available with thermostats, so it will turn itself on when it needs to. Multiple finishes are available. If your fireplace serves no purpose other than taking the heat out of your home and you don’t want to put a wood burning fireplace insert in, you ought to consider installing a pellet stove insert. They’re easier to use, and some models can heat up to a 2,000 sq. ft. area. Multiple finishes are available. Free standing gas stoves come in a variety of different looks and styles. Which look you want is completely up to you, but they all have one thing in common they can produce a lot of heat. Most free standing gas stoves are 70% plus efficient and have options for a blower and a remote. Multiple finishes are available. These prefabricated fireplaces are basically decorative fireplaces, they won’t provide much heat. These fireplaces are for those who love to hear the wood crackling and smell the wood burning. They provide a warm atmosphere for you and your family to gather around the fireplace. The benefits of these fireplaces are that they are less expensive to build when compared to a masonry fireplace. These fireplaces can also come louver-less which makes them look more like a traditional masonry fireplace. Multiple finishes are available. Installing a gas fireplace can enhance a room. With today’s technological advances they can also be a great focal point as well as a great source of heat. They’re often called a furnace with a view because of the amount of heat they can produce. Gas fireplaces are easiest to operate when it comes to hearth appliances; you can turn them off and on with a switch or remote and even have program it to turn on at certain times or at certain temperatures with a thermostat that’s built into the remote. Gas fireplaces are also easy to maintain. There are multiple finishes available. Considering a gas fireplace? You may want to read this article detailing why installing a gas fireplace is a good idea. With a gas fireplace insert you will still enjoy the ambiance of the fire from the fireplace but now can get much more heat in return and have ease of turning the fireplace on or off at the push of a button. Gas fireplace inserts come with options for a blower, remote, and a thermostat. Multiple finishes are available. If you already have a fireplace, stove or other hearth appliance or want to purchase a brand that we do not carry, but want us to install it, please contact us for a free estimate. 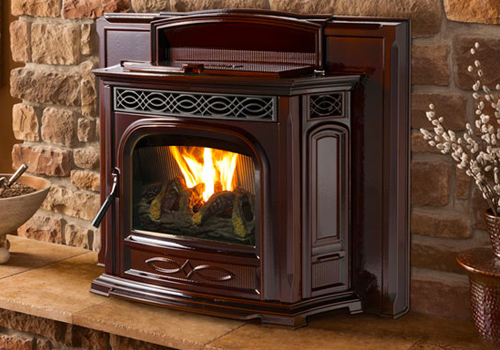 There’s no need to go to a Stove and Fireplace store when you deal with us. We’ll come to you for a free consultation, discuss your needs, show you your options, and give you all the pricing information associated with your project. We will take care of everything from start to finish making the process as straightforward and easy for our customers as possible. Save up to 10% on the installation and purchase of your hearth appliance from All Pro Chimney Service.